Salutations to our dear readers! Have you ever come across someone who is willing to shun away the risks involved in a venture, willing to take up daring tasks and yet march ahead into their chosen field, while even enjoying the thrill of it? Well, one such person whom we know is our very own ex -Dctian, Pallavi Hegde. She is known to possess an ability to assess situations carefully, weighing up the risks involved and doing what she needs to do right and win. Thus, we designate her as “The Risk Venturer”. This article features her time with us, her reason to study Ruby on Rails and the goals she had set for herself to grow in her field. 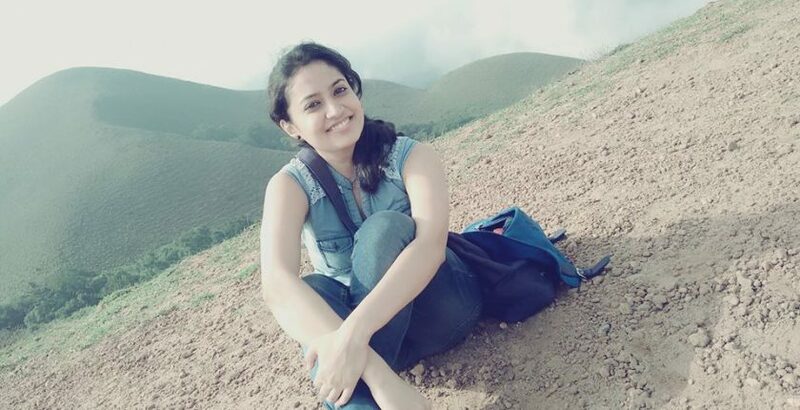 Hi Pallavi! Can you tell us something about yourself? I am a Computer Science graduate and I finished my tech – school in 2014.I was hired by HP, one of the more prestigious MNC’s around, and I worked there for about a year and a half. Well, working in HP was not a very rewarding experience for me. Basically, I was hired in bulk amongst many not unlike myself, and put into a field which I had negligible idea about. The work was monotonous and repetitive, and there was no scope for learning. I started losing interest in what I was doing and decided to learn Ruby on Rails from DCT Academy. Very soon after the course, I quit HP and joined a start up called Syook. I am more happy and doing better now. How did you get to know about DCT and why did you join us? My vested interest in web development began from my engineering days. That was something which always took my heart and, while I was at HP I realized I wanted to pursue a career in it. I had a varied choice to learn between several web languages involved such as PHP, Python, Java and Ruby. Through research and advice from my more experienced friends and colleagues, I understood that Ruby on Rails is a very powerful tool for web development and is quite easy to master, if learnt properly. I took to research about some good training institutes which teach Ruby on Rails in Bangalore, this led me to learn about DCT Academy on urban pro. The trainer, Aniruddha, had excellent reviews and prospects. I felt that DCT is a place which would fulfil my requirements. Immediately, I enrolled myself here and began my training. How do you say your experience has been in DCT Academy? I underwent a rather drastic change after undergoing training from DCT, especially from the programming point of view. Prior to my training, whenever I would come across a problem statement, I would feel that I won’t be able to find a solution to it and would give up without even trying. Now, I take on any problematic task confidently, and am able to solve them with little effort. My basics have become very strong and my knowledge on programming concepts has become more refined, I have been able to put good use to it. Now I can build web applications independently and that has been very helpful to my work. How has your transition from working into an MNC to getting your hands dirty with a start up helped you? Oh, it has been phenomenal. I am really glad that I undertook this risk. I often see many of my colleagues who are really talented in programming, put to tasks with very little coding involved. They are rather under -utilized in their field of knowledge. Over a period of time, they abandon their own expertise and interest and lose touch with the market. They could have been exceptional developers, but they lose the sheen just because of their rustic use. I did not want to experience the same .I wanted to work where my presence and contribution is felt, and make meaningful contributions to the field I love; and working in a start-up like Syook not only has given me that extra edge, but also a platform to hone my skills. Now I have a feeling that whatever I do really matters here as I handle more responsibilities. What advice would you like to give to techies facing a similar situation of talent desiccation? I would like to advice those under-utilised developers to learn what interests them and take that risk to venture out. It is their ability and talent which will shine out and help them recognize and approach opportunities better, as it is imperative to have job satisfaction as well. That being said, one will always do better where their work is felt, appreciated and rewarded. Would you recommend others to join DCT? Yes, of course. Aniruddha is a wonderful trainer. He understands his students and their requirements and trains them accordingly. His lessons are so well taught and precise that learning Ruby was made simple and fun. There is always something new to learn and something challenging to master. He ensures to extend his constant support and expertise throughout the coaching as well as after that. I have seen people from different fields such as civil engineering, electrical engineering etc. undergo training from him and become experts on Ruby on Rails. I am really glad that I joined DCT and learnt from Aniruddha.